This is a Desi Hip Hop track made by a few prominent Desi pioneers for Desi’s all over the globe and is called’ DESI. Ain’t that Desi enough ? 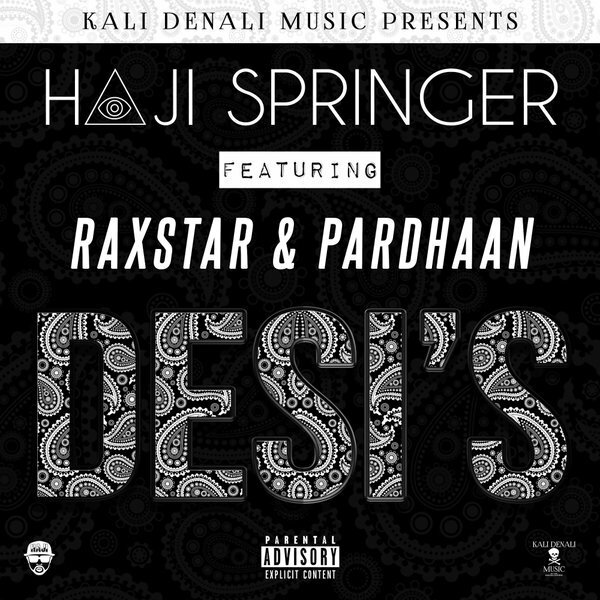 The KDM roster is catering only in bangers and anthems and the latest one has Haji Springer who featured the UK English Punjabi champ Raxstar and India’s finest Hindi rapper, Pardhaan. This is 4th release from the KDM Mixtape and is the best thus far. Haji Springer produced a juicy, grind your teeth into kinda West Coast beat which allowed every rapper to showcase what they are best at. Haji Springer opens up the track and goes one punch after the other, he points out to those who were ungrateful and just used him but Haji ain’t bitter about it, he gives a shout out to his fans all over the globe and by the end establishes why he is Desi. Raxstar follows it up with a heavy verse and like always he gives in a 100. “I earned every ounce of respect, it wasn’t handed. I don’t want to live lavish, I don’t want the finer things. I am a fan of Raxstar because he is one of the few rappers who does not believe in unnecessarily complicating what he wants to say but at the same time he does not dilute his lyrics in conveying the same. This is a trait mastered only by a few. The homie Pardhaan is on the third verse which can be used to exemplify why there is no one touching the grounds on which he stands on when it comes to Hindi rap. My favorite bar from Pardhaan has got to be the one in which he takes a dig at Babbu Maan. KDM is usually affiliated to fancier videos but this one is simple and after watching it you could even say it is effective, at least effective enough for you to destroy the play button again and again. The track is hot and once again leaves us lingering with the question, when will the KDM mixtape be out ?